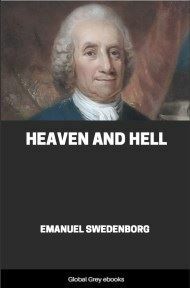 This book is Swedenborgs description of heaven and hell. 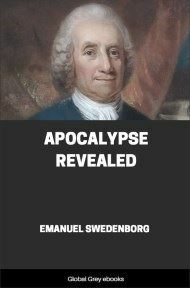 It reads like an actual account of someone who has been there and indeed, it is apparently based on a revelation that Emanuel Swedenborg received from God. It gives incredibly detailed descriptions of things like what angels wear in Heaven, how they speak, what Heaven looks like, marriages in Heaven and so much more. 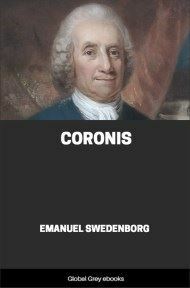 A really interesting book. Very heavy with footnotes. 2.First of all it must be known who the God of heaven is, since upon that all the other things depend. Throughout all heaven no other than the Lord alone is acknowledged as the God of heaven. There it is said, as He Himself taught, That He is one with the Father; that the Father is in Him, and He in the Father; that he who sees Him sees the Father; and that everything that is holy goes forth from Him (John 10:30, 35; 14:9-11; 16:13-15). I have often talked with angels on this subject, and they have invariably declared that in heaven they are unable to divide the Divine into three, because they know and perceive that the Divine is One and this One is in the Lord. They also said that those of the church who come from this world having an idea of three Divine beings cannot be admitted into heaven, since their thought wanders from one Divine being to another; and it is not allowable there to think three and say one. Because in heaven everyone speaks from his thought, since speech there is the immediate product of the thought, or the thought speaking. Consequently, those in this world who have divided the Divine into three, and have adopted a different idea of each, and have not made that idea one and centered it in the Lord, cannot be received into heaven, because in heaven there is a sharing of all thoughts, and therefore if any one came thinking three and saying one, he would be at once found out and rejected. But let it be known that all those who have not separated what is true from what is good, or faith from love, accept in the other life, when they have been taught, the heavenly idea of the Lord, that He is the God of the universe. It is otherwise with those who have separated faith from life, that is, who have not lived according to the precepts of true faith. 3.Those within the church who have denied the Lord and have acknowledged the Father only, and have confirmed themselves in that belief, are not in heaven; and as they are unable to receive any influx from heaven, where the Lord alone is worshiped, they gradually lose the ability to think what is true about any subject whatever; and finally they become as if dumb, or they talk stupidly, and ramble about with their arms dangling and swinging as if weak in the joints. 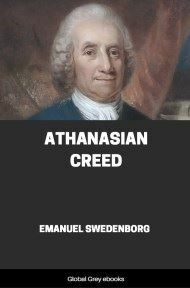 Again, those who, like the Socinians, have denied the Divinity of the Lord and have acknowledged His Humanity only, are likewise outside of heaven; they are brought forward a little towards the right and are let down into the deep, and are thus wholly separated from the rest that come from the Christian world. Finally, those who profess to believe in an invisible Divine, which they call the soul of the universe [Ens universi], from which all things originated, and who reject all belief in the Lord, find out that they believe in no God; since this invisible Divine is to them a property of nature in her first principles, which cannot be an object of faith and love, because it is not an object of thought. Such have their lot among those called Naturalists. It is otherwise with those born outside the church, who are called the heathen; these will be treated of hereafter. 4.Infants, who form a third part of heaven, are all initiated into the acknowledgment and belief that the Lord is their Father, and afterwards that He is the Lord of all, thus the God of heaven and earth. That children grow up in heaven and are perfected by means of knowledges, even to angelic intelligence and wisdom, will be seen in the following pages. 5.Those who are of the church cannot doubt that the Lord is the God of heaven, for He Himself taught, That all things of the Father are His (Matt. 11:27; John 16:15; 17:2). And that He hath all power in heaven and on earth (Matt. 28:18). He says "in heaven and on earth," because He that rules heaven rules the earth also, for the one depends upon the other. "Ruling heaven and earth" means to receive from the Lord every good pertaining to love and every truth pertaining to faith, thus all intelligence and wisdom, and in consequence all happiness, in a word, eternal life. This also the Lord taught when He said: He that believeth on the Son hath eternal life; but he that believeth not the Son shall not see life (John 3:36). Again: I am the resurrection and the life; he that believeth on Me, though he die yet shall he live; and whosoever liveth and believeth on Me shall never die (John 11:26, 26). And again: I am the way, the truth, and the life (John 14:6). 6.There were certain spirits who while living in the world had professed to believe in the Father; but of the Lord they had the same idea as of any other man, and therefore did not believe Him to be the God of heaven. For this reason they were permitted to wander about and inquire wherever they wished whether there were any other heaven than the heaven of the Lord. They searched for several days, but nowhere found any. These were such as place the happiness of heaven in glory and dominion; and as they were unable to get what they desired, and were told that heaven does not consist in such things, they became indignant, and wished for a heaven where they could lord it over others and be eminent in glory like that in the world.